Buying a cat is a big decision. Do you have time to look after her? Is your home or apartment suitable for a pussycat? Are there any health issues you need to think about, and are your family members ready for a new addition to the family? Find out from someone who has plenty of experience. Are you thinking that you would like to purchase a cat? If so, you may want to take a few minutes to find out if you are in fact good cat owner material. Finding out that the beautiful pussycat isn’t for you is something that you don’t want to have to do once you bring him home. One of the many reasons that people have to find new homes for their pets is because of allergies. If you haven’t been around cats much, make sure that you take the time to spend a few hours around one. Also, ensure that none of your close family members or friends have the same problem. Is your lifestyle right for a pet? Cats are less in need of constant attention unlike the dog but they still need to be kept from being lonely and bored. If you work long hours, consider getting two cats so that they can keep each other happy. If you have a bored cat, you will have a bad cat. Does your cat fit within your home? If you have kids in your home, the litter box will need to be placed in a place the kids can’t get to it but the cats can access it easily. You’ll also need a litter box, food dishes, toys and a scratching post. What type of cat do you want? Sure a kitten is nice and fluffy and you can instantly fall in love with it. But, kittens need to be trained too. And, a great reason to go with a kitten is the fact that he doesn’t have any bad habits just yet. But, you will likely need to have them altered and de-clawed as well. You’ll need to pay for immunizations too. On the other hand, an older can is a good choice for those who want a cat with less energy and one that is already trained to the litter box. Older cats have had most of their immunizations (will still require boosters though) and they will likely have been altered already. If you are not worried about the breed of the cat, then the best place to look in the local humane society or the animal rescue in your area. Most cats in these organizations are healthy and sweet kittens and cats. And, since the organizations are overrun with them, you can help to give one a home. If you are looking for something specific, a cat show is a great place to go. Many of those there will bring kittens along for sale. If you can’t find them there, the exhibitors will be able to tell you where you can find them. Great! You have your cat, now what? Don’t be surprised if it takes some time for the cat to settle into its new home. And, make sure that you do what you can to help it by providing it with all the things it needs. Put all of his items in the same place every day. If you follow these simple tips you will find it will help your new cat to make himself at home in your home. CATS & DOGS - Soul Mates? I had heard more than once how Chows are very cat-like in their demeanor and attitudes and since I have had two of them in my life I can confirm this! Given this similarity, I was still unprepared for my current Chow’s love of cats. My last dog chased cats like every genetically correct pup should do, so I was amazed at my current pup and her feline fascination. They tiptoed around each other for three days even coming nose to nose eventually. Then on Boxing Day, we had just finished our lunch of leftovers…you know turkey sandwiches and such, when we heard a crash in the kitchen. Assuming nothing serious we were slow to react. When we finally moseyed into the kitchen to get going on the post-lunch cleanup they were caught in the act! There they were…Pongo and Keisha nose to nose eating the turkey that someone (?!?!?) had pushed off of the counter onto the floor. They had a fine feast together and even after their tag team mischief, Pongo was still reluctant to become fast friends although I think he was beginning to warm up to the idea after all Keisha had eaten the turkey and not him! Unfortunately, we had to leave before the relationship was cemented. We have not seen Pongo since but Keisha responds most enthusiastically to his name still, over three years later. Mojo is owned by a neighbor and is an outdoor cat. He totally suits his name and struts through the “hood” as though he owns it and has complete control over all that goes down in it. He definitely has his MOJO going on! At first, Keisha approached him cautiously, and he would bat at her with his paws, but never with claws out. Slowly but surely they came closer and closer to each other. There was the dancing around each other period that looked really funny as each would take their turn jumping forward then backward not unlike some ritual. Then came the purring and then the rolling over and belly sniffing. After that Mojo began to walk around and under Keisha strategically putting his tail in her face. She managed to maintain her aloof dignity when he does the tail in the face thing. All of this has progressed to Mojo coming for walks with us, he comes to visit and waits at the door for Keisha to come out to play. Keisha will put her paw on his bum to get the game of chase going and if Mojo is in the mood he will start the game by running or he will roll onto his back and swat at Keisha with all four paws. Mojo is the alpha in the relationship in spite of his 10 lbs to Keisha’s 60! 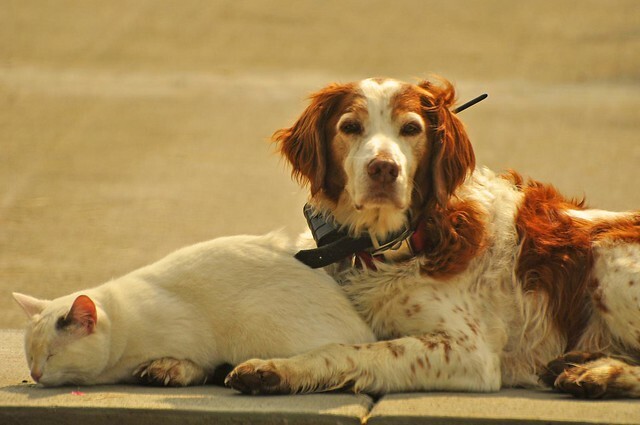 To see them together one wonders why some cats and dogs get along and others want to destroy each other. Is it perhaps a past life spent together? Early influences like Pongo? Maybe Keisha was a cat in her last life and thus the affinity for cats and cat-like behavior? Or are they just all very different souls with very different personalities and perspectives? Who knows for sure? All I know is that my heart always warms when I see them together and am awed by this amazing friendship that truly looks like soul mates in action. During the year of 1884, the very first Siamese cats began to make their way to England, when they were given as gifts to a British general. After that, they eventually made their way over to America. Nowadays, Siamese cats are one of the most recognized of the breed. Siamese cats are without a doubt the most popular short haired cat and among the top 3 in the entire breed of cats. Even though there are several different colors to this breed, some questions what makes a cat a true Siamese cat. These cats have always been known for their bodies which are lighter in color, with darker areas throughout. The darker areas found on their bodies are normally around the feet, tail, legs, or face. They can weight anywhere between 6 - 16 lbs, with bright eyes that are normally slanted - which is another clue that the cat is a true Siamese. Siamese cats demand a lot of attention because, in their minds, they believe that the world revolves around them. For this very reason, they can tend to be quite a dependant on their owners. They love to play and crave interaction. If you leave them alone for too long, they won’t like it. They like to get attention, love to play, and hate to be left by themselves. Even though Siamese cats are emotionally high maintenance, they don’t need a lot of maintenance They need a minimum amount of grooming, which involves bathing every once in a while, and brushing maybe once or twice a month. If you like cats with minimal maintenance, Siamese cats are perfect. Their hair is short to their skin, so a gentle brushing is all you need. They can get sick, however, which is to be expected with any breed of cat. Siamese cats have a lifespan that is similar to other breeds, which is normally around 15 - 20 years, sometimes even longer. As long as you feed him on a daily basis and take him to the vet for his regular checkups and shots, he will be around for years and years to come. Most people who have their Siamese cat for over 10 years, find the cat to be more like a child than a pet. No matter how you look at it, a Siamese cat is a great pet. Although the Siamese breed does require a lot of attention, they are excellent pets that you can spend a lot of time with. They are great for kids as well, simply because kids can spend a lot of time with them. 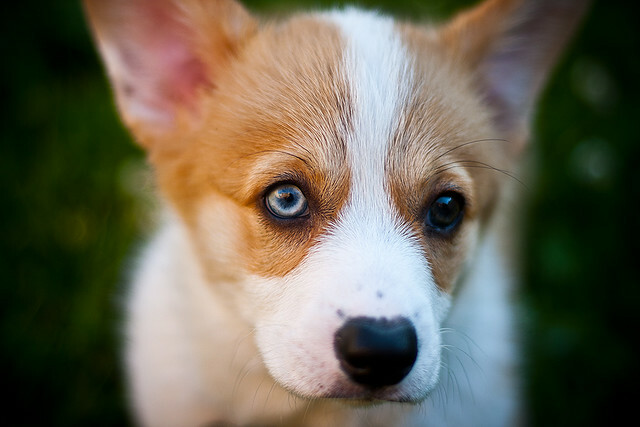 As long as you give your pet the attention he craves - he will be your lifelong friend for as long as you have him. There are some women who are obsessed with cats for a number of reasons. Some genuinely want to help cats because they are strays and do not have anywhere else to go. Others do it because they are lonely and need company. In both cases, society has coined the term crazy cat lady to describe women who have a large number of cats in a small living space. There might be one woman who lives in the neighborhood and has been single for a long time. She has never been married and she does not have any children. She has a very special place in her heart for animals of all kinds but is particularly fond of cats. So she decides to have a cat as a pet since she believes in taking care of animals. This woman is usually single and does not have any responsibilities to others since they live on their own. So they use the opportunity to use the space they have in their home to take care of these cats. The main problem is that their home is usually too small to take care of so many cats. Every time she sees a stray cat, she takes it home with her. She just could not turn any away or ignore them when she sees them on the street. Her house is small and does not have much room, but she believes quite strongly that she was destined to do this. As a result of her dedication, sixty-five cats do not have to struggle to find food to eat and a place to sleep. On the other hand, some women might take in many cats because they are lonely and need company. They might have been married at one time and are now widowed, and probably have children that are now adults and have moved out. This can cause a person to seek out a way to satisfy the emptiness that they feel and they might do this by having lots of cats. Due to her need to take care of others, she ends up taking in lots of cats. These women are usually older and live on a pension, so they are not very wealthy, to begin with. Yet, they might have so many cats over a certain amount of time because taking them it helps them feel better about themselves. As a result, she took in a cat every chance she got. She had so many cats that the neighbors were worried about the living conditions in the house she lived in. Some of them tried to talk to her, but she saw them as threatening to break up her new family, which in her mind is the only family she had at the time. There might be many other ways to define a woman who takes in so many animals, but the two definitions discussed above are typical. Both of these women have a similar obsession with cats and having them in their home. Some may see this as crazy, but to the ladies, it is simply what they love to do and they will keep on taking in these animals. 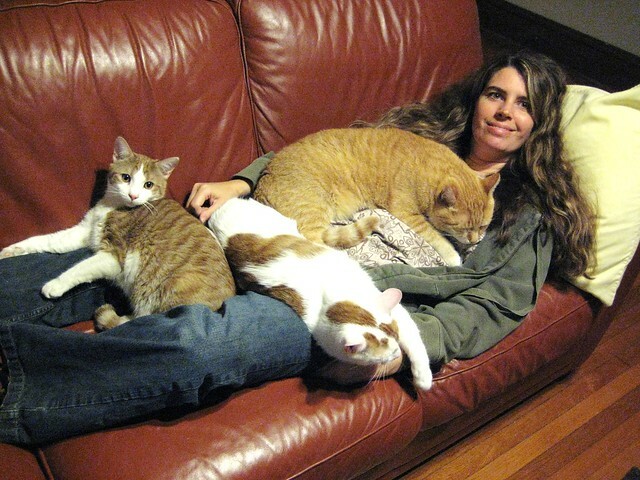 Read more about The Definition Of A Crazy Cat Lady. Javanese is a long and slender breed amongst longhaired cats. The pretty feline is very much similar to the Balinese breed of cats, except for the former's rich array of versatile colors. A spontaneous mutation of the Siamese, Javanese breed is classified to include all those felines that fall out of the blue, chocolate, lilac and seal colors of the Balinese. Hence the name Javanese is used, based on the island Java, next to Bali. A lithe but muscular cat, Javanese is an athletic and surprisingly heavy animal. It is one of the long-haired felines though it is its rich tail that displays true plush. Body is light in color with markings occurring in the typical points, in colors ranging from red, cream and lynx to tortie and tabby variations. Head is wedge-shaped with proportionately oriented ears and slightly slanted eyes to accommodate the shape of the skull. Body, overall, is long and sleek. With their single layered coat, Javanese don't require much grooming. Their hair doesn't shed nor matt easily. They are quite talkative and meow regularly as part of their expressive nature, though this attribute is not universal amongst all members of this breed. Interestingly, it has been suggested that the individual personalities vary with the fur colors. Intelligent and inquisitive, Javanese are quite playful. They require attention and company and sometimes get overweight if not monitored. Affectionate animals, they attach themselves readily to people and thrive amidst them. Active and busy cats, they are often on the lookout for high places to perch and survey their 'territory'. Javanese are fearless felines and their curiosity often leads them into odd places and narrow crevices. Despite this dynamic nature, they have a warm personality and adjust readily to their owner's routine to provide company and affection to their adoring humans. The author is a blogger about cats and an expert on Javanese cats. Cats that have been abused can appear severely maimed and damaged all over their exterior. Some may appear to be in perfect shape on the outside, although all of the damage they sustained may be internal or emotional. Even though physical damage is bad, the emotional damage is much tougher to fix. Cats who have physical abuse will still answer to a soft touch and soft voice, as long as they know that the abuse has come to an end. When you have a cat that has been emotionally abused , you’ll need to wait until the cat comes to you. You’ll need to use patience, as the cat will be confused and not know if you plan to hurt him or not. If you take your time and let him know that you are nothing to fear, he will eventually come to you. When he starts to come to you, you can let him sniff you and pet him. After a while, he will learn that he can trust you and he will come to you when you call him. Angry or mean cats, on the other hand, will either fight and scratch with you or simply run away from you. With mean cats, the best thing to do is use gentle treatment with a soft voice. You can never try to raise your voice or use strict discipline, as it will only make the cat meaner. Never attempt to trap the cat either, as trapping it will only make the cat react. If you take your time and let the cat know that you are there for him, he will eventually calm down. Recently, two Serval cats were delivered to the Caldwell Zoo in Tyler, Texas. The nine month old cats are named Bosco and Amos. The kittens came from the Tautphaus Park Zoo in Idaho Falls, Idaho. The Serval cat is considered one of the best hunters in the wild with the ability to catch it prey over 50% of the time. Serval - Photo by Steve Wilson – over 5 million views Thanks !! A Serval cat is a medium sized African wild animal. It is a strong, slender cat with long legs and relatively short tale. It has a small head and oval ears. The fur of the animal is striped on the head and back of the neck and the body is spotted. The coloring is tawny with black stripes and spots. The Serval has traits similar to the cheetah. From a distance, a Serval will resemble a cheetah but up close the Serval is a smaller animal. A Serval cat will weigh from 20 to 50 pounds. It has a lifespan of 12 to 15 years. Besides it's normal sounds, it can purr like a domestic cat. The Serval cat lives in savannas and likes to feed on rodents. It will feed on other prey like fish, frogs and insects if it finds them. 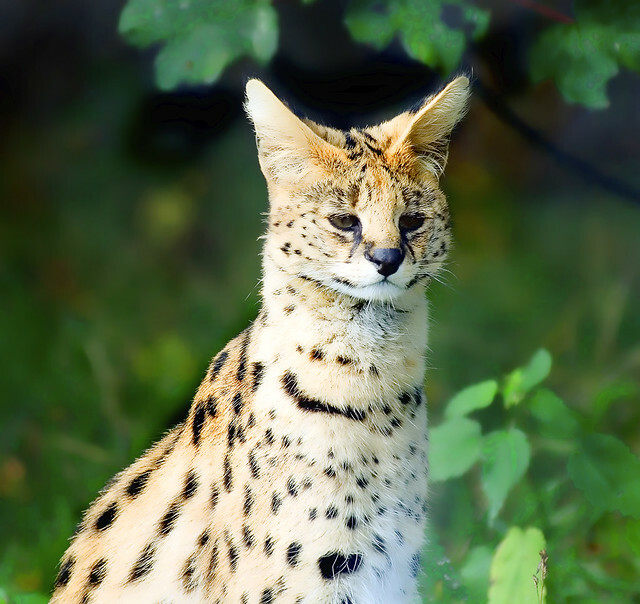 A Serval is very fast and has excellent jumping ability making it a good hunter. The cat tends to eat quickly causing it to regurgitate it's food. If the prey is small enough , it will swallow it whole. It is also a very intelligent animal enabling to outwit it's prey. Although the Serval does very little, it is a great swimmer. Larger cats like the leopard prey on the Serval. The cat is normally bred in the wild but can also be bred in captivity. In the wild, the young are raised in sheltered locations for protection from bigger cats. The litter can contain up to five kittens. A kitten can mature to an adult in as little as 190 days. A Serval cat can be domesticated. The animal is friendly, good-natured and easily tamed. But like any wild animal, the cat may become destructive and dangerous before fully grown. A Serval is very loyal to it's owner and is difficult to transfer to a different owner. The cat popularity's as a pet has increased in the United States. In the United States, a special license is required to have a Serval as a pet. A Serval has been bred with a domestic cat called the Savannah. Most states consider the Savannah as a domestic cat and do not put special conditions on the breed. The Serval population has been shrinking due to humans encroaching on it's habitat and hunting the animal for it's fur. Since the Serval is a relatively small cat, it takes numerous pelts to make a garment. In many countries, the Serval has become a protected species. The CITES organization has put the Serval on it's watch list. This article does not endorse or recommend a Serval cat as a pet. Frank Loethen. married, owner of an Internet business for cat products and grandfather of 4. “Who would believe such pleasure from a wee ball o' fur?”- An Irish saying about cats, perhaps best describes what pleasure-giving creatures cats can be. Jean Burden, beautifully defines the feline beauty. 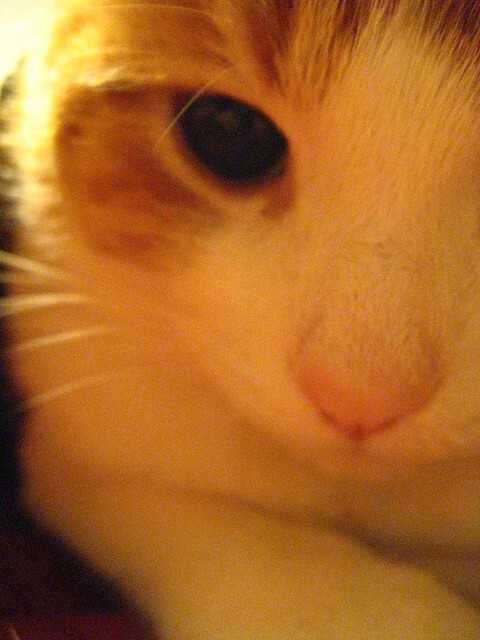 “A dog, I have always said, is prose; a cat is a poem.” Cats for many people, are really very lovable - remember ‘Snowbell’ - the cat of “Stuart Little”. Cat supplies is a general term that covers a variety of important cat care products. 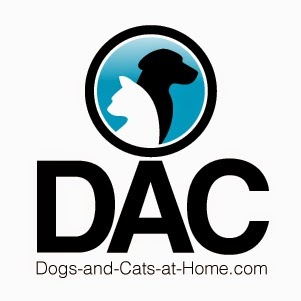 These topics could be used when undertaking an online Internet search for good value cat supply products for your pets - cat-grooming supplies, cat pet supplies, cat training supplies and discount cat supplies. Cat grooming is in fact a long program of cat health care that covers the entire life span a cat. It includes feline care, feline health care, feline diabetes care etc. It also includes practices like kitten care, giving a hygiene bath, general cleaning, combing, brushing, checking ears, paws, teeth and underside, nail trimming, removing cat fleas and insects and fixing regular meetings with a professional veterinary. Cat owners should follow a regular schedule of grooming sessions. Cat grooming supplies play a key role in the process of maintaining a happy and healthy cat. Supplies for your pet may include a special cat home or house, cat doors, cat furniture, cat carrier, cat beds, heated cat beds, cat toys, cat collars, designer cat collars, jeweled or jingling cat collars, cat odor removers, cat clothes, special cat jewelry, cat food, cat tonics & supplements and cat medication. A cat bed is a bed specially designed for the sleeping comfort of a cat. It should be the most pleasurable place for a cat where it retires to take sweet dreams. Good cat beds are actually quite important for maintaining good cat health. An improper sleep may very much affect the general health of your cat - thus the masters of cats should be very careful when buying cat beds. A cat bed and cat bedding should include a cat bed mattress, cat bed sheet, cat pillows, cat throw pillows, cat blankets and cat quilt or duvets. Cat beds are available in numerous styles and include designer cat beds, heated cat beds, luxury cat beds, wicker cat beds, leather cat beds, etc. A catfight in the literal sense between two house cats.